TO THE VALUE OF R5000! Everything we do is designed to help you as a business owner succeed online. We are passionate about sharing our experience, wisdom and love for the internet to help you have the best website possible. That’s why we specialise in responsive websites that look beautiful on all desktops, tablets and mobiles. Whether you are an SME or Blogger, we have a solution to meet your needs. 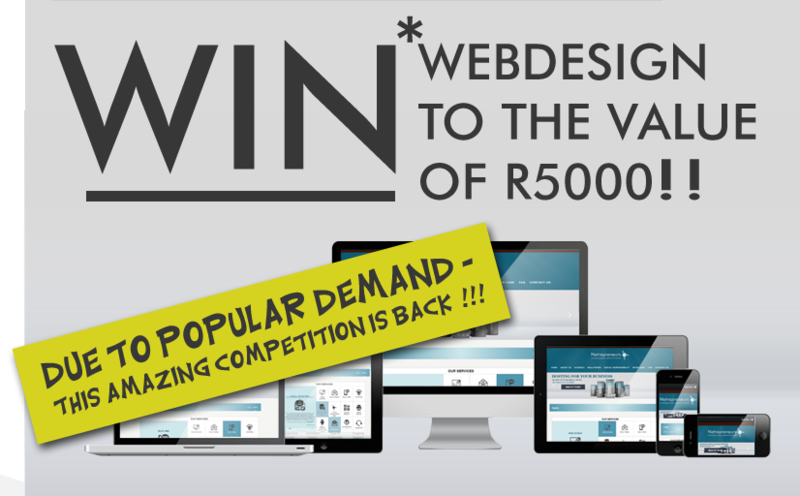 (or site revamp) to the value of R5000! The prize consists of a Site Design and development to the value of R5000*. If Yes, what is the web URL? Full HTML & CSS development. Responsive Design – compatible on all screensizes, devices and smartphones. Winners will be chosen on the 10th December 2016. All Winners will be Notified via Email and Phone within seven days thereafter. Does not include Domain Name registration.